Update: The 2017 Genius Blogger’s Toolkit is available for purchase through Oct. 9, 2017! The Genius Blogger’s Toolkit is finally here! I am so excited that I get to share it with you. There is a lot of information in this bundle so I wanted to help you know where to start and which courses will give you the best information. It can get overwhelming if you are just starting out so I will give you my favorite items that are included in this amazing bundle! This post does contain affiliate links. I will get a commission if you purchase a bundle but it does not affect your price. This is a great bundle of 62 ebooks, courses, and printables that will help you grow your blog and increase your income. The price of all of these tools if you bought them separately is $3,665! That is pricey for a blogger at any stage. 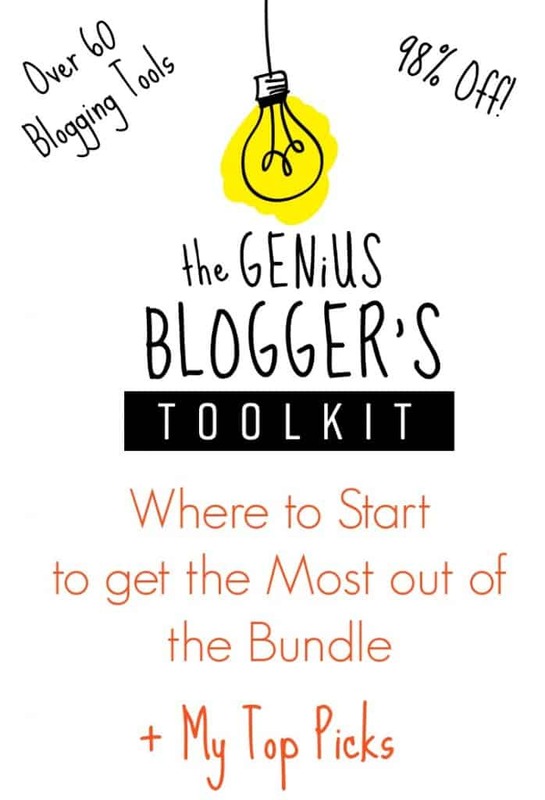 The Genius Blogger’s Toolkit is only $97! That is 98% off! Plus, you get over $1,300 in bonuses that you can use for your blog as well. It is only available from Oct. 26th – Nov. 1st, 2016! Don’t wait to purchase this because it will be gone after these dates! Since I am an affiliate, I was able to purchase it early so that I could go through as many products as I could to let you know if it is worth the cost. I have gone through 10 of the courses and books so far. There is just so much information to get through and most of it has been really worthwhile. As you can see in the list above, some of these courses are over $300 by themselves. So this price is a steal! I think it is worth every penny of the $97. I have been blogging for four years and I learned tips and strategies that I didn’t know where even possible. I have been implementing everything that I have learned and it has made a difference in my traffic and my income. I have already earned back the money I spent on this course just by using the tips I learned in these 10 courses. I still have over 50 more to take. I am learning so much! There are some downsides to the bundle that I want to make you aware of. Even with the cons I would gladly purchase it but it wouldn’t be a good review if I didn’t include them. There is a lot of information in this bundle so some of the courses and books do overlap and get a bit redundant. I know that you should know your “why” and know your audience. These are good tips but it gets so annoying when it is being repeated over and over again. Some of the courses are just OK and way overpriced. There are some good courses in here but some of them really disappointed me. If you are a new blogger, you may love them but since I have been blogging for a while, I felt like I knew all of the information. If I had spent $300 on the course, I would have asked for a refund. Since it was a part of the bundle, I just felt like I wasted time instead of money, which is better. Some of the bonuses that are included can only be used if you are a new member of that program. I was so excited to see that they offered 3,000 pins to Boardbooster, but after I purchased the bundle, I saw that it is only for new customers….bummer! I am going to gear this more toward new bloggers since most seasoned bloggers know where they are lacking and need to focus on. For instance, my photography skills stink so I am trying to take everything in that category first. I recommend doing one course from each category at a time so that you don’t get overwhelmed with information just from one category. You can start implementing a little bit from each one as you go along. I haven’t been able to go through all of the courses yet but the ones I have been able to take have really been great. Some of them I actually took before I bought the bundle and I was thrilled to see them included. These are my top picks for each category and you may want to start with these if you are short on time. Professional Blogging: Building a Framework. This is great for new bloggers because it gives you step by step actions to take from creating content, email list, social media strategies, tech advice, and much more. Abby grew her blog into a 6 figure business so the girl knows what she is talking about. Productivity: Productivity Guide for Bloggers. I love anything that Ruth puts out. I took her Elite Blog Academy course and it really helped me grow my blog. I love her advice and she tells you what she does to make time work for her. Social Media: Pinaffiliate Master Class. I really liked this course. I knew everything during the first half but she really taught me how to monetize my blog better and really increase my affiliate income by using Pinterest. Product Creation: Ecourse Creation. I like this because I really want to start doing ecourses but you choose the topic that you want to focus on: ebooks, physical products, etc. Tech Help: Sticky Blogging. I love this course, it really helped me with my writing skills. I took a free mini sticky blogging course by Kelly that was phenomenal so I can’t wait to dig into this one. Photography: Eat Pretty Things. I am learning so much about lighting and staging from this book. It isn’t just for food bloggers. Blog Growth: 17 Strategies. I love this book. 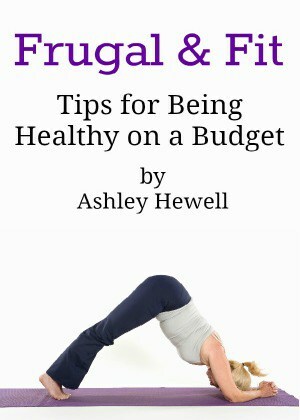 I read it months ago and by using the strategies in this book, I went from 12,000 pageviews/month to over 130,000! Content Creation: I haven’t taken any of these courses yet but I am going to start with Done-for -you blog content. I love Tanya’s blog, she gives a lot of great information. Monetizing: I took one course in this category that I would not recommend so I will say start with Monetize45. I am a part of Tabitha’s Facebook group and she is so helpful and really loves teaching others. The great thing about this course is that you could actually make money off of it. Most of the books and courses in this bundle offer affiliate programs. If you find a product that you really love and can stand behind, become an affiliate and start recommending it to others. This is a great way to increase your blogging income! We are almost done, this post was a lot longer then I was planning on it to be but I am just so passionate about this course and really want it to help you succeed and grow your blog! Now that you know what is included and where you should start, go grab the Genius Blogger’s Toolkit before it is gone. It will no longer be available after Nov. 1st so get it now! Invest in your blog and invest in yourself!